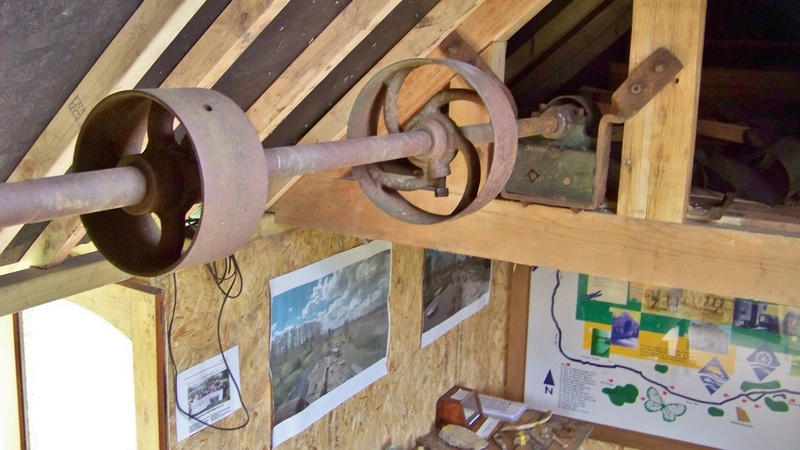 The Little Mill, our new visitor centre was designed and built in 2018 by the volunteers in the style of the original mill building based on historic pictures which show how it looked. 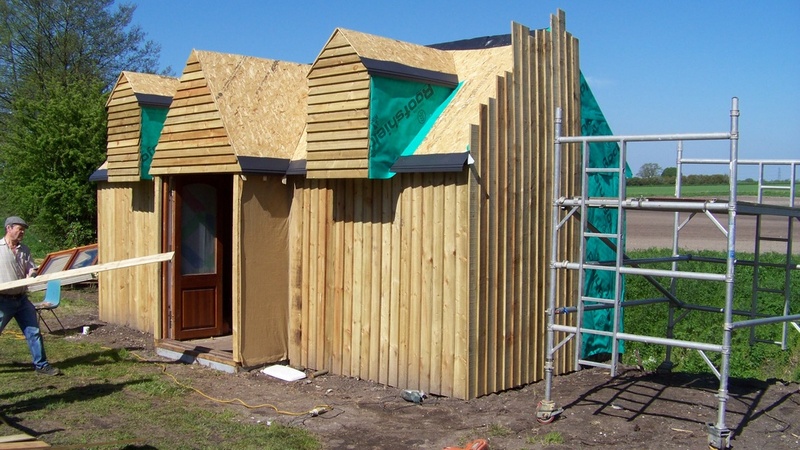 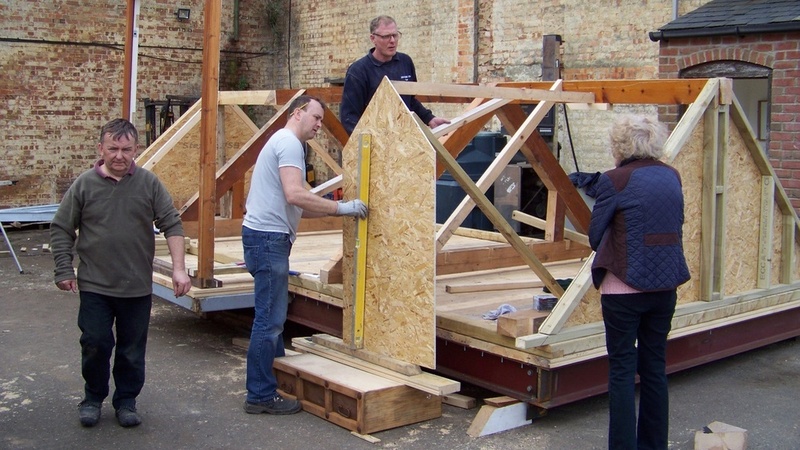 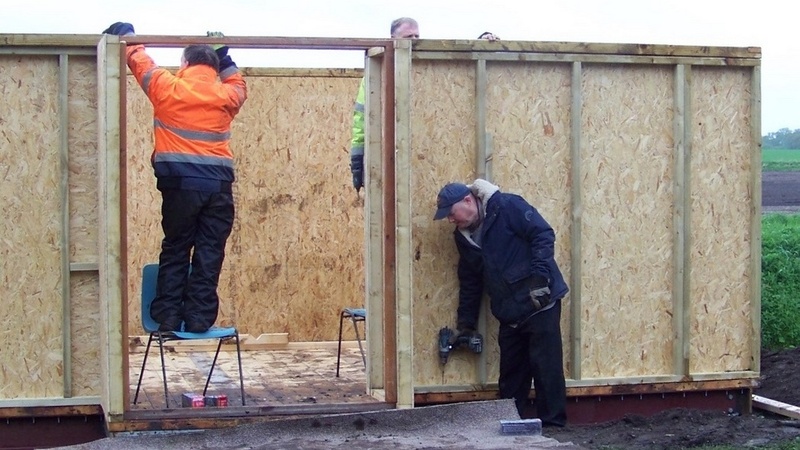 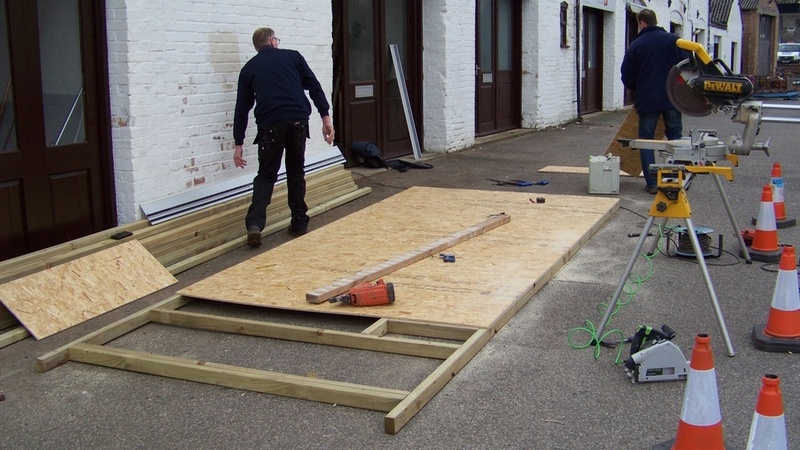 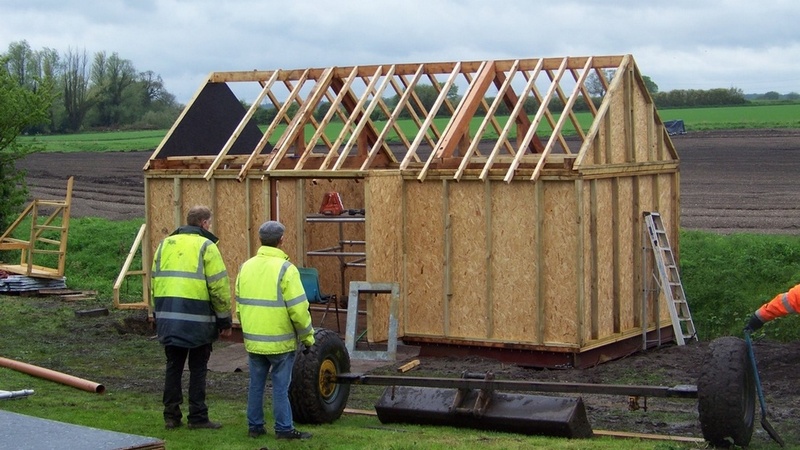 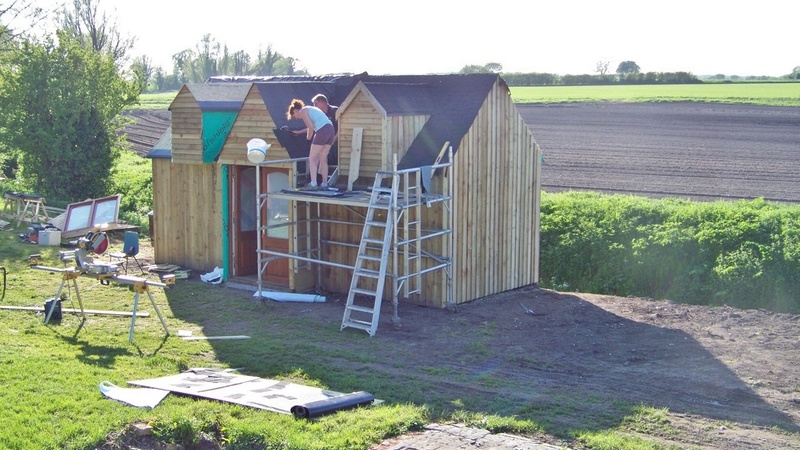 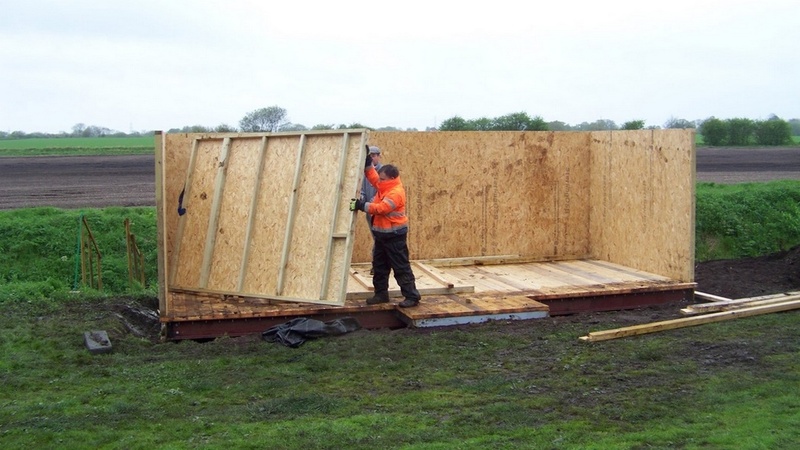 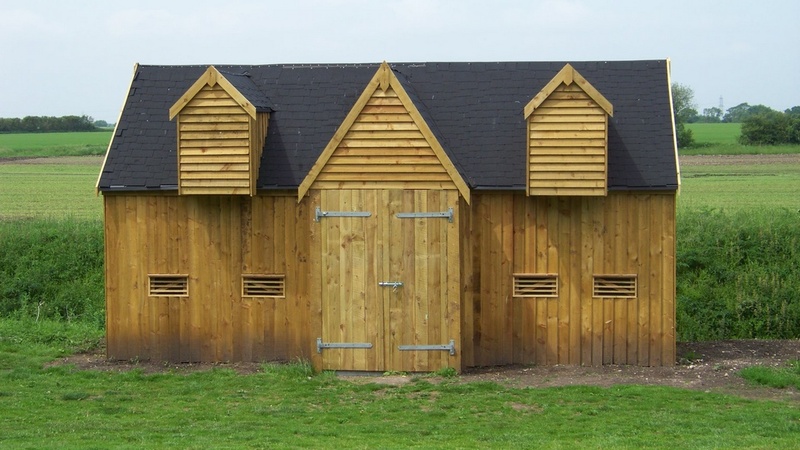 Built on a steel frame with wooden floor, walls and shingle roof, it replaces the storage containers previously used and complements the railway wagon which is being retained as a kitchen and volunteer room. 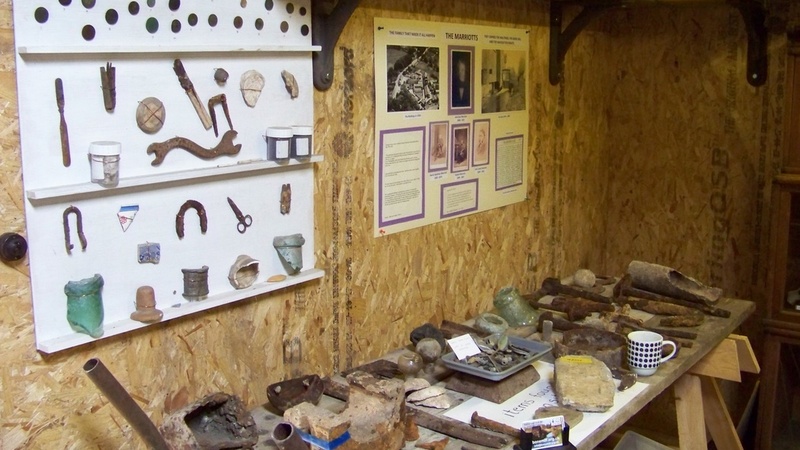 The main area of the new building is a museum displaying items found during archaeological digging of the site including bones, nails, knives, coins and pieces of machinery. 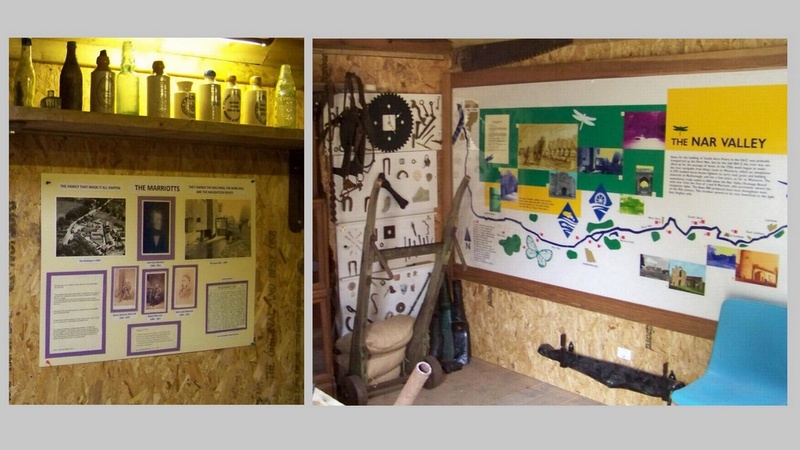 Also displayed are photos of the restoration work, historic pictures and documents. 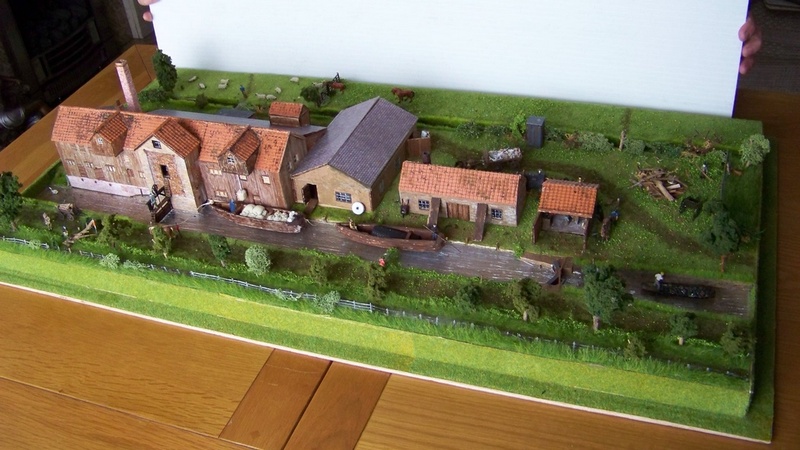 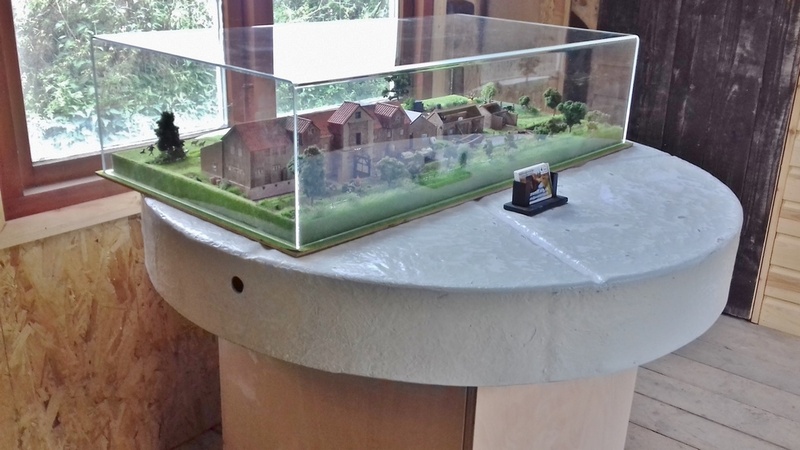 A model made by David Turner of how the river and mill would have looked in its working days will be displayed, as well as exhibits about the river and maltings from the Heritage Centre which closed recently. 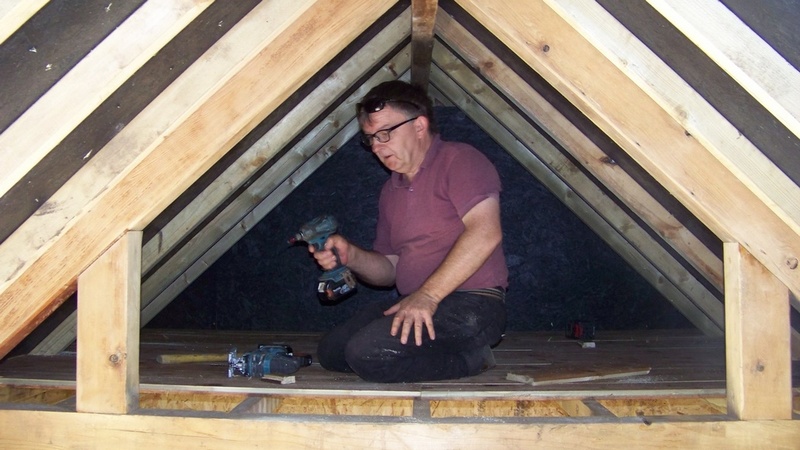 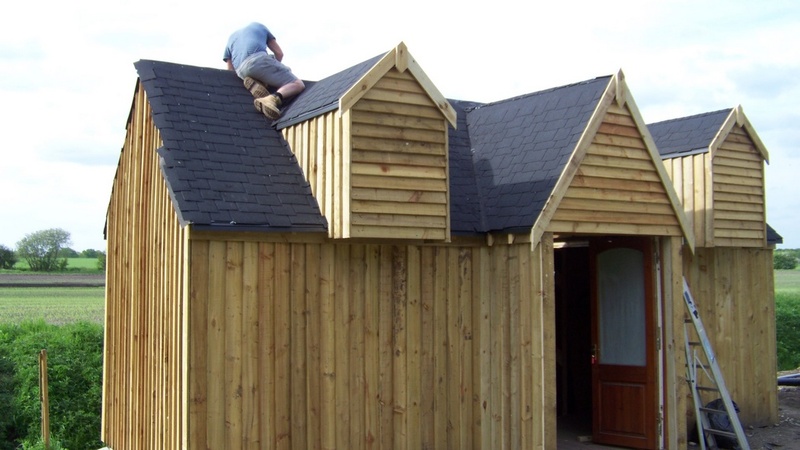 There is also a store room with workbench and extra storage in the roof space. 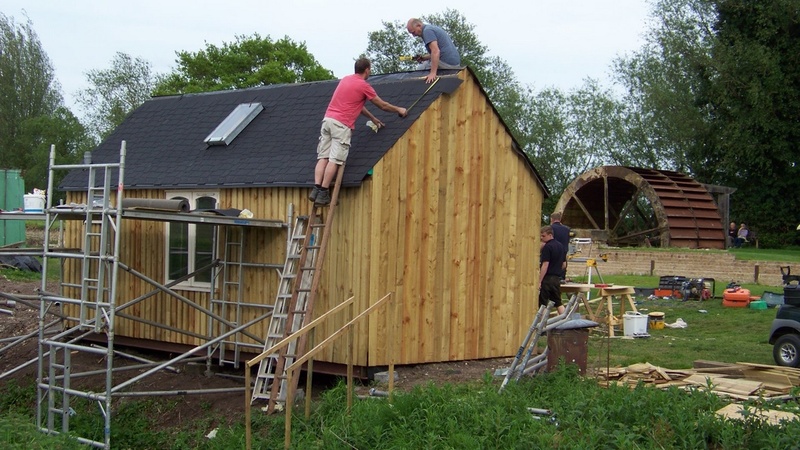 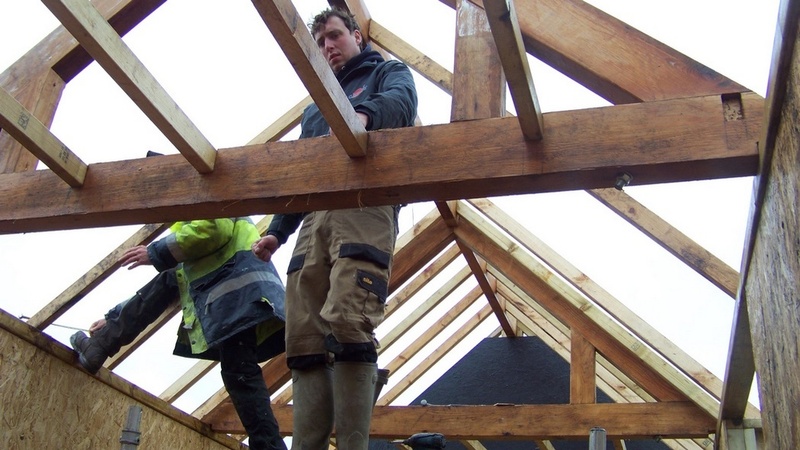 This building was funded by a Tesco Bags of Help grant, Tesco have supported the bone mill for several years by donating items for volunteers, open days and allowing staff to help us. 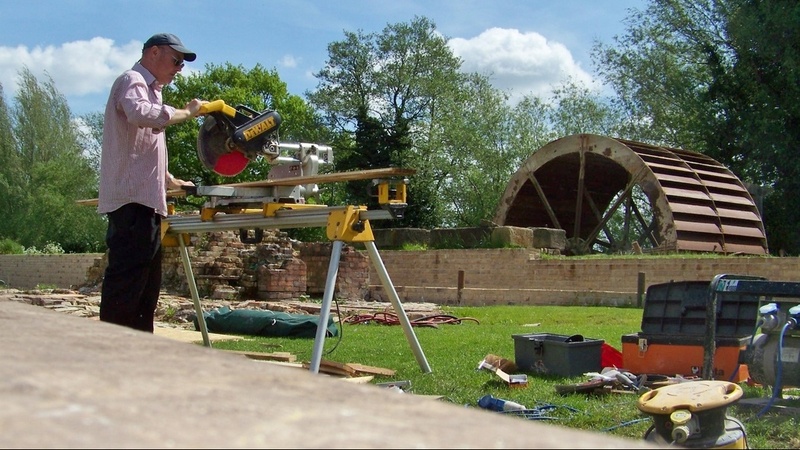 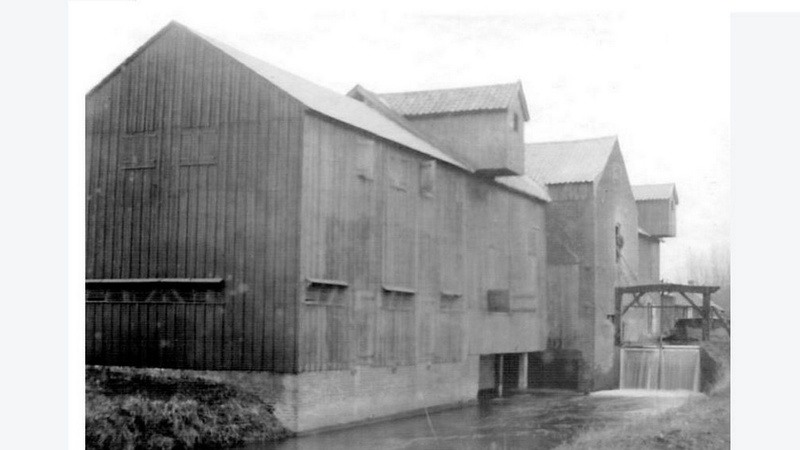 The Little Mill is classed as a temporary building, the base, wall and roof sections were made at The Maltings. 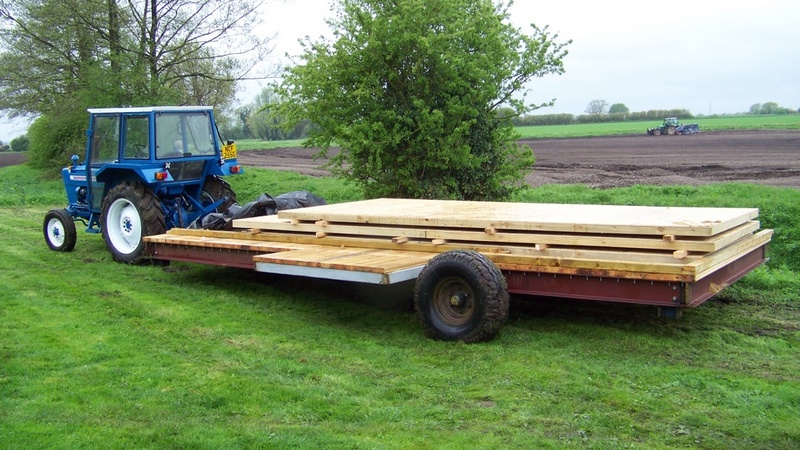 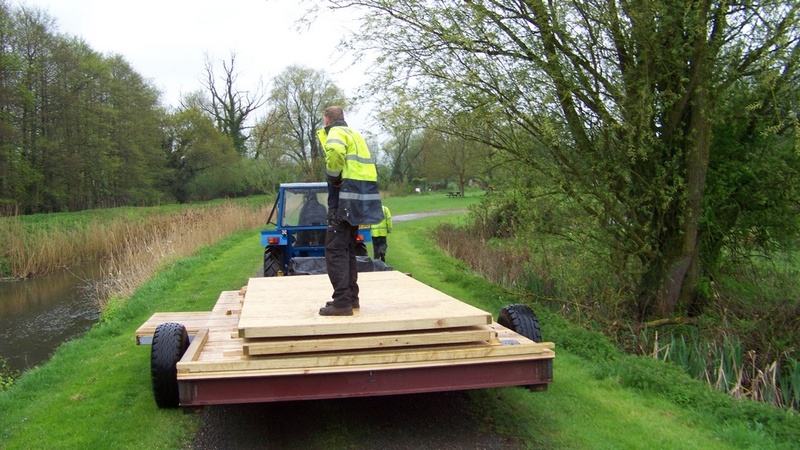 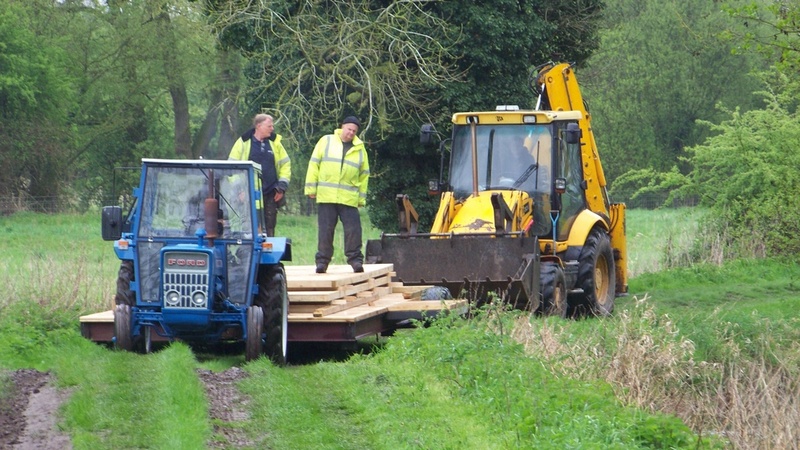 It was taken to the mill by fitting wheels and a tow hitch to the steel base and towing it with a tractor. 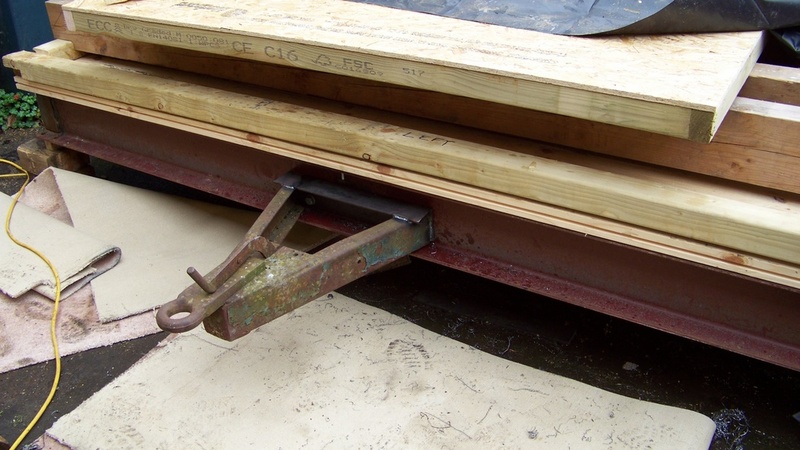 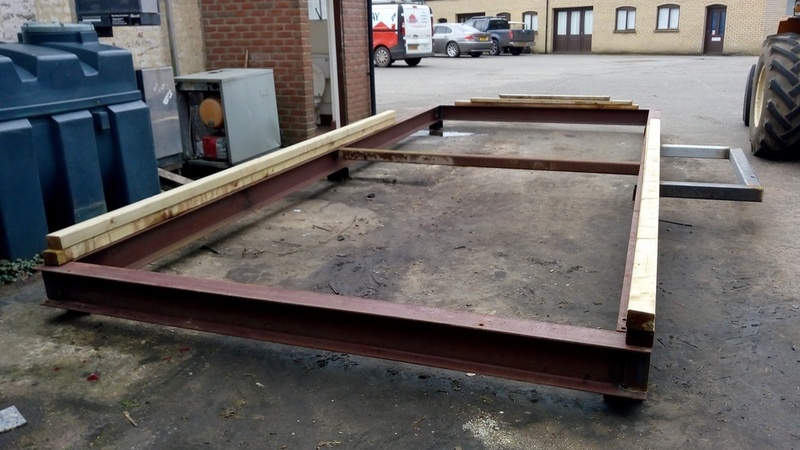 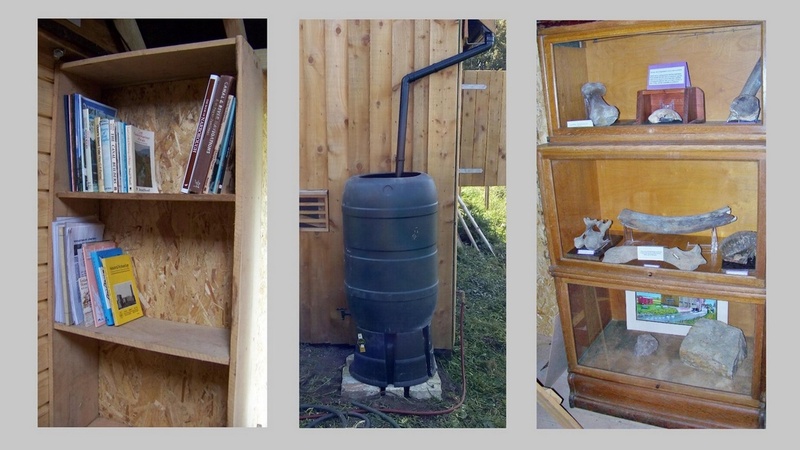 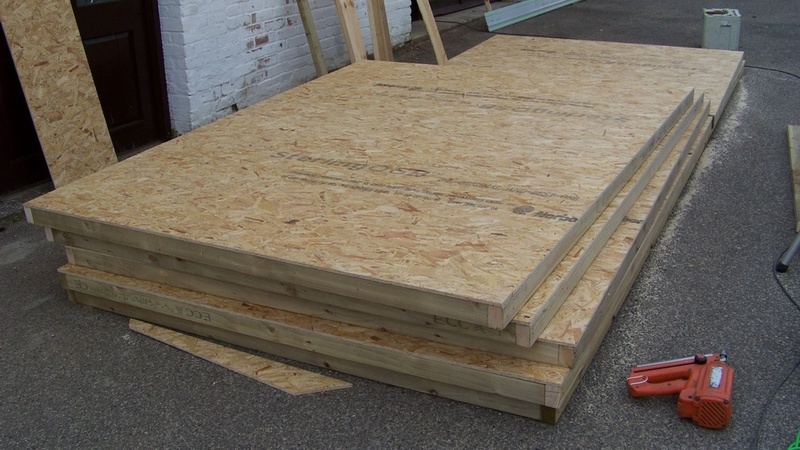 The wheels were then removed and it was assembled and finished on site. 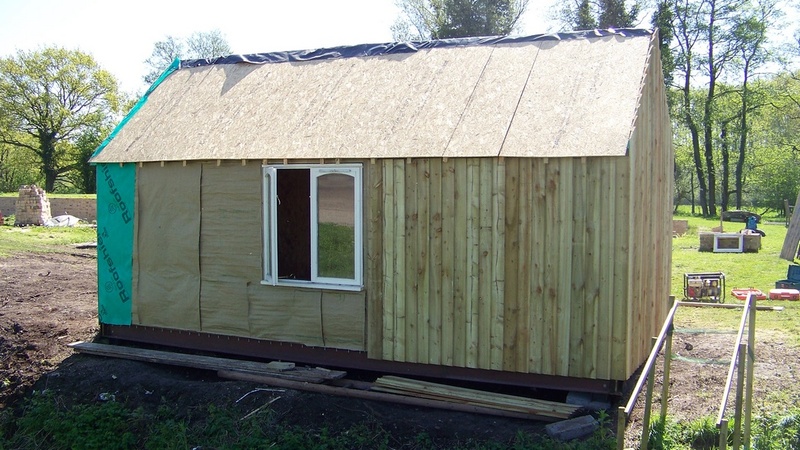 The walls are insulated and a solar panel provides power for lighting, operated by old fashioned switches. 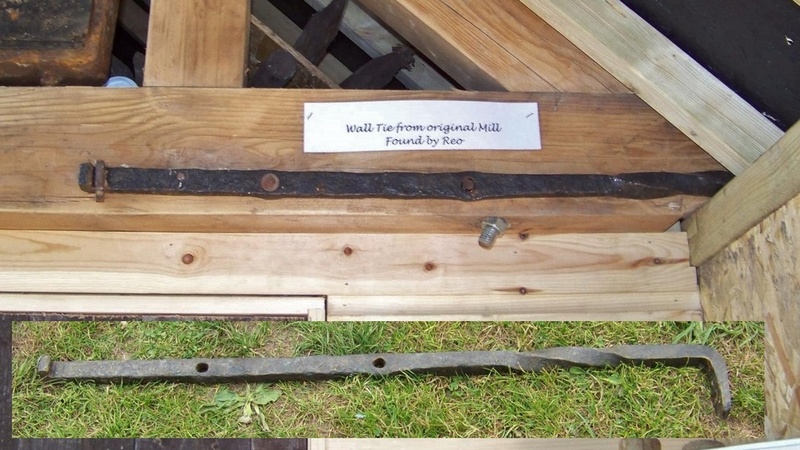 An original building tie found by Reo with his metal detector and an old pulley shaft donated by Ozzie have been incorporated into the new building. 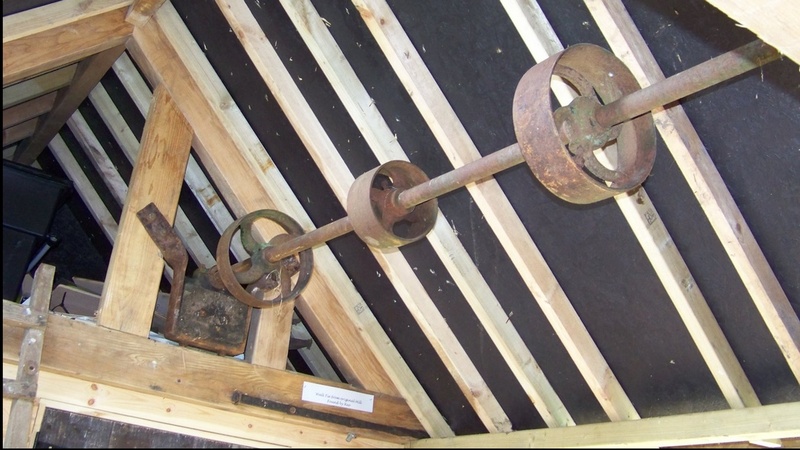 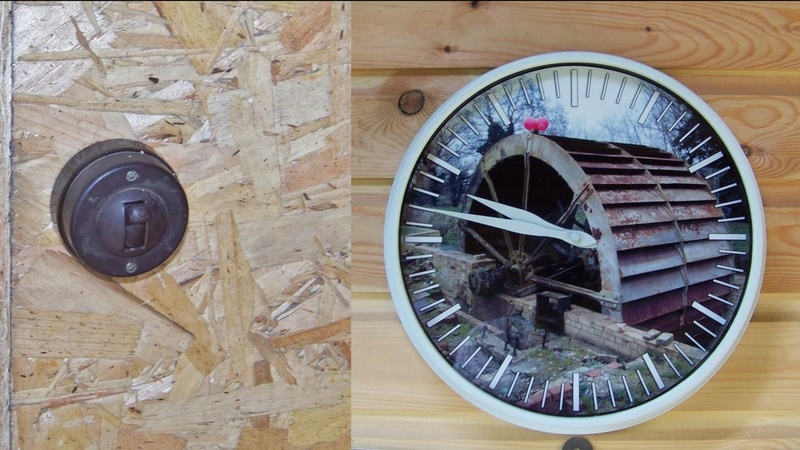 A waterwheel clock made by Reo’s mum, Kay, hangs on the wall of the museum. 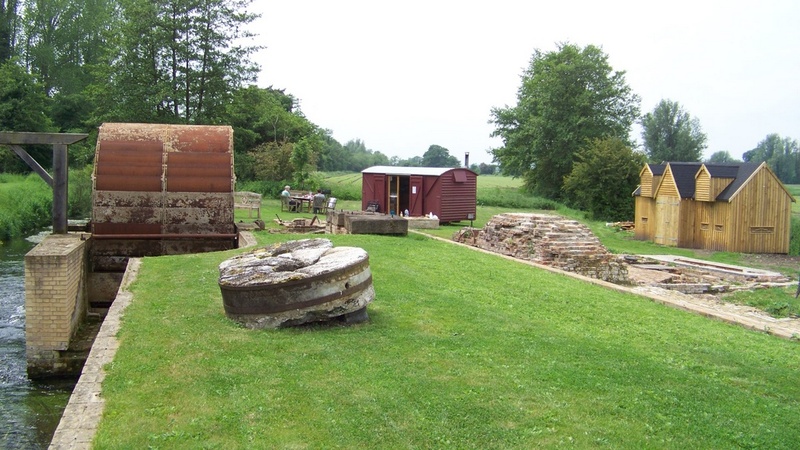 The visitor centre is used on open days when the public can visit and volunteer days when walkers on the Nar Valley Way public footpath can cross our footbridge and join us for tea and a tour of the site. 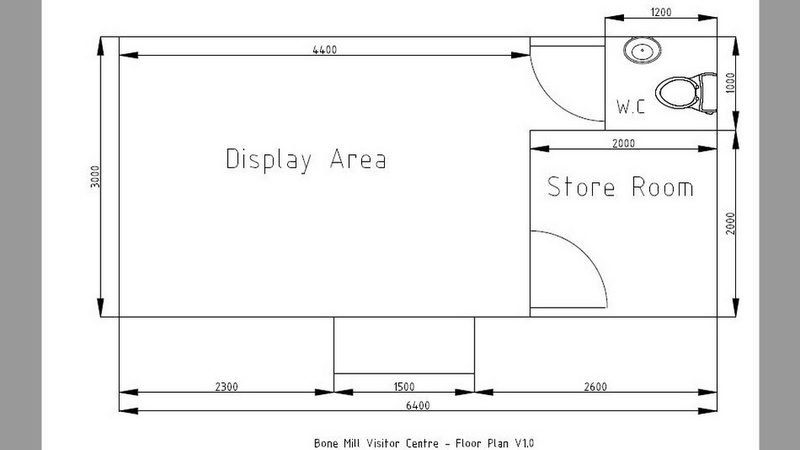 Subscribe to our newsletter for website updates and news from the Bone Mill project.